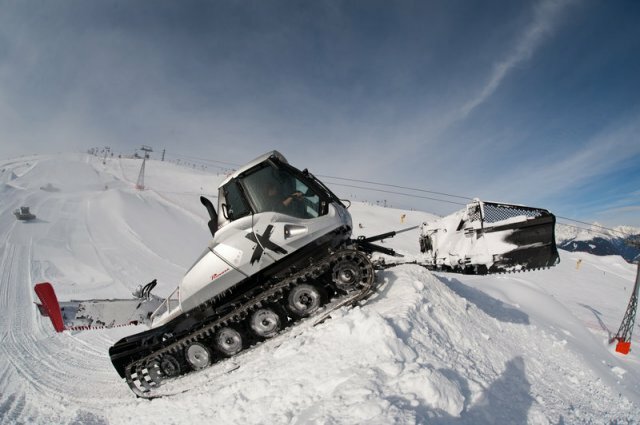 This snow cat is extremely agile, even on the steepest terrain. 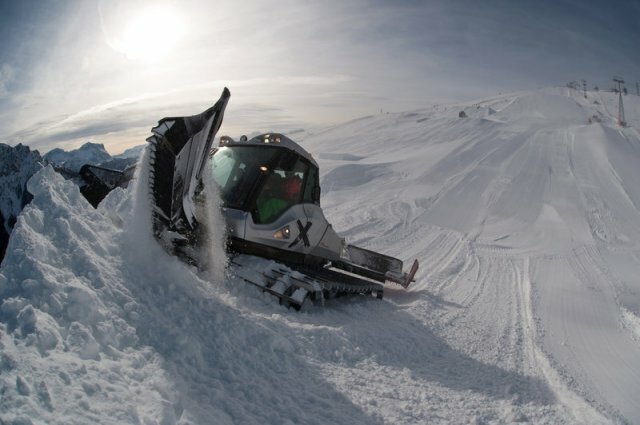 With the Bison and Bison X, you will master the sharpest curves and most demanding jumps in any fun park. The maneuverability of the blade and the tiller makes it possible to construct refined shapes in the park. And the joystick-in-a-joystick system makes the simultaneous control of the most important functions a breeze. That’s How Work Turns into Play in the Snow Park. Extremely agile, even when it’s steep: Excellent relationship between engine performance and weight. Greatest cab comfort: With the centrally located driver’s seat, excellent visibility of the entire working area. Low-noise, low-vibration driver’s cab designed by Pininfarina. Joystick-in-a-joystick system: For maximum precision with minimum power usage. 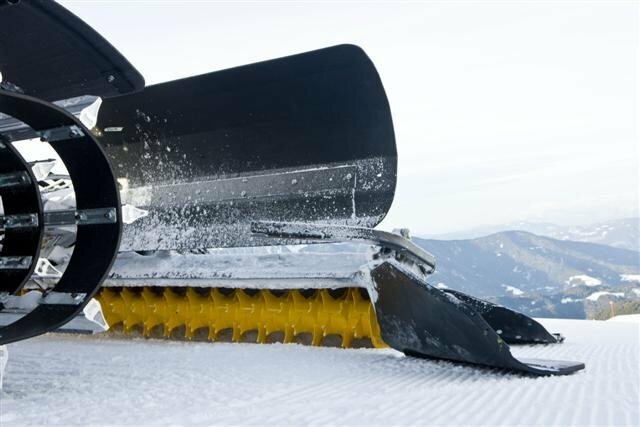 Best ski slope quality and enormous thrust: Thanks to the PRINOTH® Power Tiller, Posiflex Tiller and the 12-way clearing blade. Optimized operating costs: Stingy with the fuel consumption, economical with the maintenance. Extremely agile, even when it’s steep. 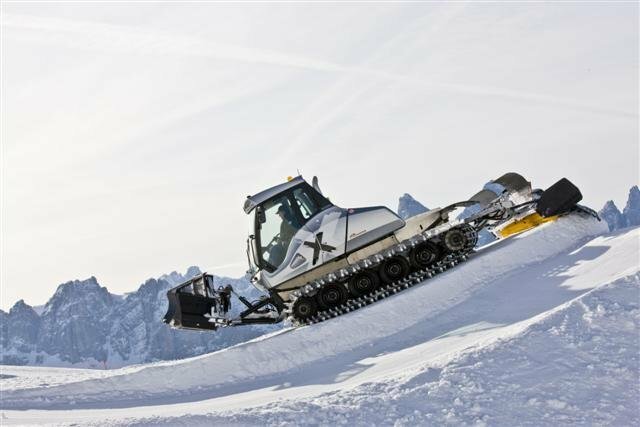 First-class climbing and steering ability in all types of snow, thanks to the optimal relationship between engine performance and weight as well as the powerful Caterpillar engine. Greatest cab comfort. Top-quality, low-noise, low-vibration driver’s cab designed by Pininfarina. The best in lighting and the specially developed, centrally located, ergonomically designed Recaro® driver’s seat guarantee optimal visibility and support, even in extreme driving conditions. PRINOTH® joystick-in-a-joystick-system. Control all of the tiller and blade functions with maximum precision and minimum energy usage! The hydraulic servomechanism of the blade makes precise operation possible, while the clearly presented operating information on the display provides a running rapid diagnosis of the Bison. Best ski slope quality and enormous thrust. 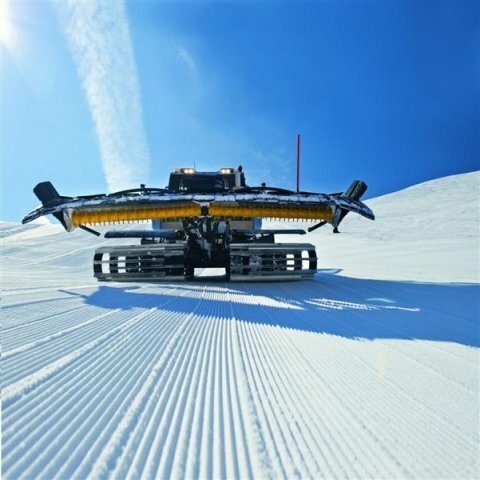 With efficient accessories, such as the highly efficient PRINOTH® Power Tiller, Posiflex Tiller and the tried and true 12-way clearing blade, the Bison and Bison X provide the best ski slope conditions and enormous thrust, even with large masses of snow. Optimized operating costs. Stingy fuel consumption with a high degree of operating efficiency! 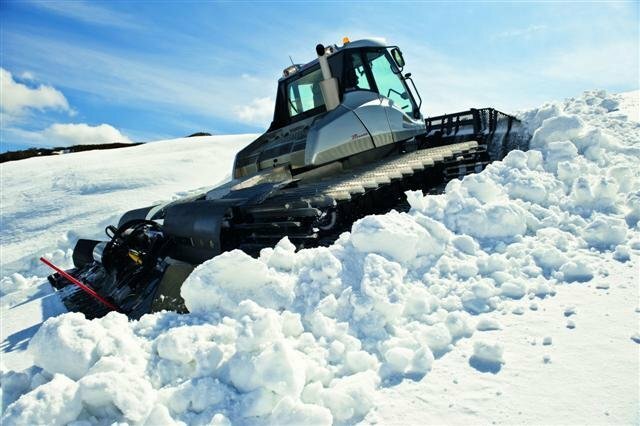 On top of that, the tried and true components guarantee low operating and maintenance costs as well as a long operating life for your Bison snow groomer.